In 1956 at the age of 10 my father discovered the exciting world of tow trucks while working side by side with my grandfather. My father lived for the towing industry. There was never a day that he was not in uniform. 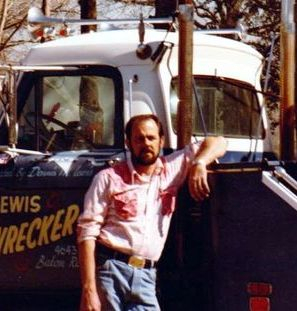 He saw the day when tow trucks went from wench trucks to conventional wreckers with dollies then wheel lifts, rollbacks and rotators. He strived to make his company the best by treating people with respect and caring. There was nothing my father could not do. Not a car he could not tow, not a situation he could not get a vehicle out of. 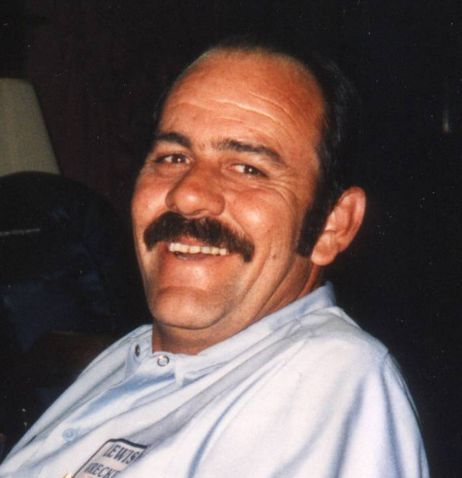 Many days he worked straight through breakfest, lunch even dinner working a heavy duty call, in the rain the cold or the heat of the hot Louisiana summer. He would work for hours on in but never stopped until the job was complete and the customer was satisfied. 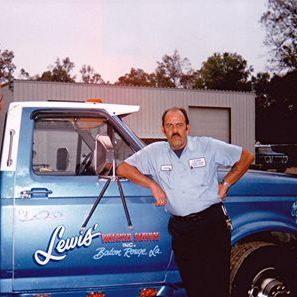 He taught every one of his drivers over the years and I know each and every one of them still benefit from his self-taught towing skills to this day. His lessons did not stop there, they also include fireman. My father would help the fire department with extrication classes. He would not only provide a place for the class and the car, he would furnish them with his knowledge about cars, how and where to cut them. Tips and tricks the extraction equipment manufacturers never included in the instructions. On November 5, 2012, my father suffered from a hypertensive stroke on the front part of his brain which took away a lot of his memories. At the same time we found out that he had lung cancer. Within a month the monster spread to his brain. The radiation treatments brought him back to us for a little while. On January 16, 2013, at 8:23am my daddy’s journey was over. 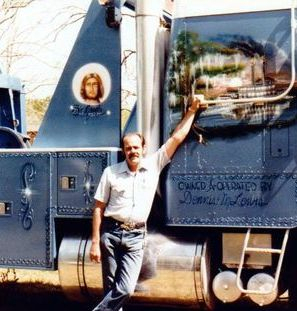 My father dedicated his life to the towing industry. 24 hours a day 7days a week. Rain or shine, bitter cold or sweltering heat. No days off, no vacations. I guess you can say he is finally getting some well deserved time off. Lest we forget them on the long road home The tow operator stood and faced his Maker, which must always come to air. He hoped his chains were left behind and he hadn't brought them on to bare. "Step forward now, wrecker driver how shall I deal with you?" Have you always rendered aid? To your Maker, have you been true? The tower, with dirt on his hands, said "No sir, I guess I ain't. Because those of us who drive wreckers can't always be a saint. I've had to work most Sundays and at times my talk was rough, and sometimes I've taken people cars, because life is just that tough. But I never took a penny, that wasn't mine to keep. Though I logged a lot of hours when the bills just got too deep. And I never passed by a cry for help though at times I had little to gain, and sometimes, please forgive me, I could do little more than feel their pain. I know I don't deserve a place among the people here. They only wanted me around in their worst of moments there. But if you have a place for me here, well...it need not be too grand. I never expected or had too much so if you don't...I'll understand." There was silence all around the room where the saints respectfully stood. As the tow operator waited quietly, for the judgment...bad or good. "Step forward now, wrecker driver, you've borne your burdens well. Come tow on heaven streets, You've done your time in hell."